"My central heating finally stopped working in mid January. I contacted Hicks Heating by phone from an advertisement I had seen and spoke straight away directly with Mr Hicks. Within 24 hours he was there, he gave me excellent advice (no sales talk) and returned within 5 days to install a new boiler, cylinder, full heating controlls and repipe all the radiators in the property.The job was completed in a few days with minimal inconvenience for myself and my family, very little mess and to a price that was most acceptable to me. I would not hesitate in recommending Hicks Heating if you are experiencing central heating problems. I was afraid of being taken advantage of, particularly whilst the house is without heating but Hicks Heating did a thoroughly good job at an affordable price. We are very satisfied with the work that was carried out." 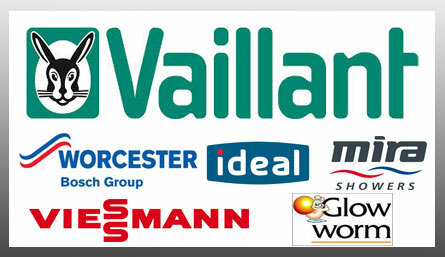 "I would like to say a massive thank you to James from Hicks Heating for installing my new Valiant combi boiler. From assessment of my old boiler to fitting the new boiler only took 3 days. We recieved great service and I would recommend Hicks Heating to anyone is who is in need of a plumber/gas fitter. He was fast, friendly, reliable & cleaned up after himself!" "James from Hicks Heating is a fantastic plumber and I would highly recommend him. We bought a new house last year and had some problems with the boiler and heating - we called James and he came over quickly and offered us expert advice and assistance. He fitted an amazing new boiler for us and replaced the whole heating system. He is very reliable and punctual and is always at the front door when he says he will be. His work is of the highest standard and he is meticulous in everything he does. No job is ever rushed. James will always answer your call and it offers us great reassurance knowing that such a helpful and professional plumber is at the other end of the phone." "I can't thank James enough after my boiler packed in suddenly. Not only was he able to advise me on the phone before he came out, but he also made every effort to come out and help figure out the problem as soon as could - on the evening I first contacted him at 9pm at night! He then was so quick to sort the replacement parts and return to fix them - finding the cheapest yet most reliable fixtures. Loving having hot water again!! Would recommend him to anyone!!" "I put out a call for help on FB and asked all of my friends for recommendations for a decent plumber. The name James Hicks came back 7+ times with fantastic comments! I messaged him and explained that it was my husband's 40th birthday and all he wanted was the boiler serviced and the new shower fitted! (he is a practical man!) The problem was, was that his b'day was in 4 days time!! He called me back within the hour, came round within 2 and the following morning came round and did the boiler and the shower!! He even fitted the old shower front to the front of the new shower so my husband would never know!! It only took a couple of hours and was very, very reasonably priced! The really exceptional part.....if all of that wasn't enough!.....is that I am disabled and he was very kind, patient and understanding of my limits and dealt with my brain fog (me calling him Mark and Jason!?) with kindness and understanding. He was also on the end of the phone to answer any queries I had that I obviously couldn't ask my husband! Cannot recommend highly enough. Lovely guy, fantastic plumber and very reasonably priced. Will definitely be using Hicks Heating again....sorry James! Haha!" "James has recently replaced our faulty central heating controller. Very friendly young man who knew exactly what we needed to get our heating working efficiently again. Great job, great price, very efficient. Pleased at how quickly he was able to fit our job in. We would highly recommend him to anyone for any jobs in the future"
"Contacted James around mid-day as had a fault with my boiler and no heating or hot water. By 5:30pm same day James had come and fixed the problem. Very pleased with the work done. Thanks"
"Very happy with the work james and co have done. Very friendly, very tidy, no hassle and a good price. Deffo recommend. 5/5"
"Our boiler packed up so we gave hicks heating a call. They came over nice and quick and sorted it all out. Thankyou 5/5 from me." 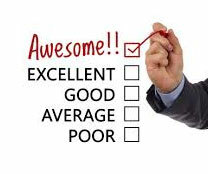 "James does excellent work, arrives on time and sorts out any problems you have. Would recommend him." "very friendly and helpfull knows his stuff well recommended"